Here’s a fact: exercise is one of the most important ways you can stay healthy and age better. But, as with anything in life, not all exercise is created equal. In my opinion, far too much emphasis is put on aerobic exercises, like running and biking. While aerobic exercise is important for a healthy heart, equally important are compound exercises that work the entire body. You may think of squats as an exercise that only body builders perform, the truth is, this is a powerhouse move that can provide strength at any age. Squats obviously build leg muscles, including your quadriceps, hamstrings, and calves, but they also create an anabolic environment, which promotes body-wide muscle building. In fact, squats are so intense, they trigger the release of testosterone and human growth hormone (HGH) in your body. These two hormones are vital for muscle growth and will help to improve muscle mass when you train other areas of your body aside from your legs. In this way, squats not only help you improve your lower body strength but your upper body as well. Plus, muscles are important in the regulation of glucose and lipid metabolism and insulin sensitivity. The more muscles your body has, the more protected you are against obesity, diabetes, and cardiovascular disease. Squats are considered functional exercises, meaning they help your body when it comes time to perform real-life activities. While other strength-training exercises make it easier to use exercise equipment, squats make it easier to do things like walk up and down stairs and lift heavy objects safely. Squats also improve mobility and balance, two things that are important for aging well. Want to burn additional calories? Add muscle to your body. For every pound of muscle you gain, your body burns an additional 50-70 calories a day. So, if you gain 10 pounds of muscle mass, you automatically burn 500-700 more calories, even while your body is at rest. 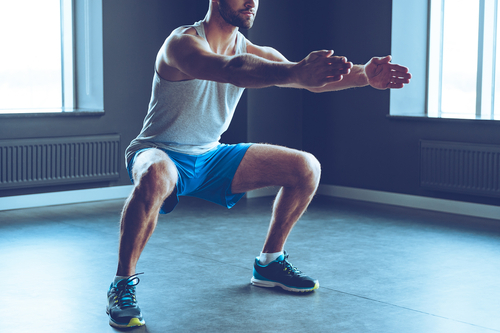 Many injuries that occur, both to trained athletes and regular folks, are a result of weak stabilizer muscles such as ligaments and connective tissues, which squats help strengthen. And, as mentioned above, squats also help you stay flexible. Most of us have little time to work each muscle group, which is another reason why squats are so amazing. Few exercises work as many muscles as the squat, so if you want to work your legs, backside, and abs all at the same time, squat! This powerful exercise also improves the pumping of body fluids, which in turn helps the body deliver nutrients to all tissues and remove waste. Squats can also help you to have regular bowel movements. You may wonder if squats are bad for your knees, and the answer is a very loud NO! – not if done properly. When done correctly, squats actually improve knee stability and strengthen connective tissue. Always warm up. This could mean getting on a treadmill for 10 minutes or taking a walk around the neighborhood. Always stand with your feet just over shoulder width apart. Also, make sure your knees are always centered over your feet. Keep your back in a neutral position, meaning not rigidly straight but not rounded either. Do the movements slowly. Slowly bend your knees, hips and ankles, lowering until you reach a 90-degree angle – then slowly come back up again. When returning to your starting position, be sure to not overextend or lock your knees. As with most things in life, balance is key. As I mentioned in the beginning, you don’t need to place too much emphasis on cardio, just as you don’t now have to place too much emphasis on performing squats. Simply add squats to a well-balanced fitness routine. Your routine should include a bit of cardio, performed a few times a week, as well as strength training and stretching. As you begin adding in squats, try to do two to three sets of squats (of 15) two or three times a week. Make sure to give yourself important recovery time and listen to your body. In conclusion, if you’ve always thought squats were for professional athletes or you were “too old” to do them, I’m here to tell you they can improve your strength and overall health at any age. And remember to forward this article to anyone you think would benefit from it! I used to do lots of squats in my youth days with martial arts training. I am now 54 with less strength, flexibility and endurance than I used to have. Will definitely go back to squats if my arthritis does not get the upper hand over me. Thank you for sharing and God bless. I like the squats exercises for they promote the testosterone. 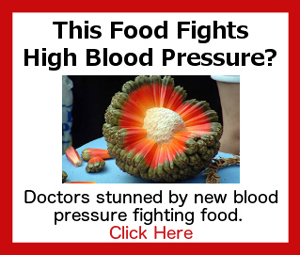 I was not aware of it.